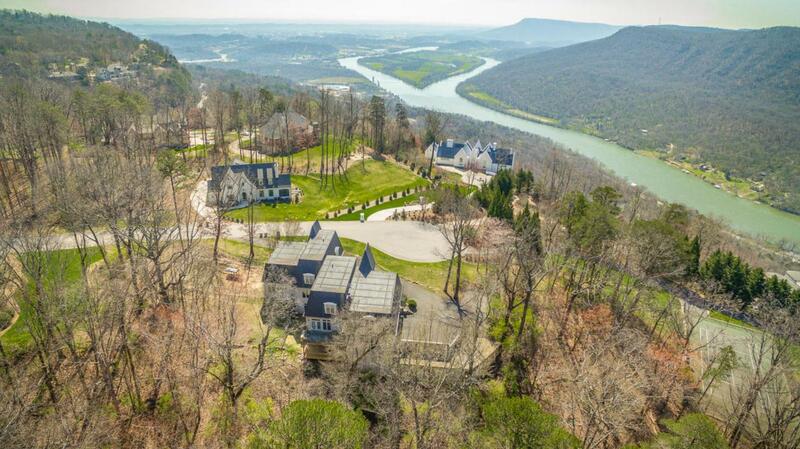 Custom built home on Signal Mountain across from the brow on a cul-de-sac with scenic views. 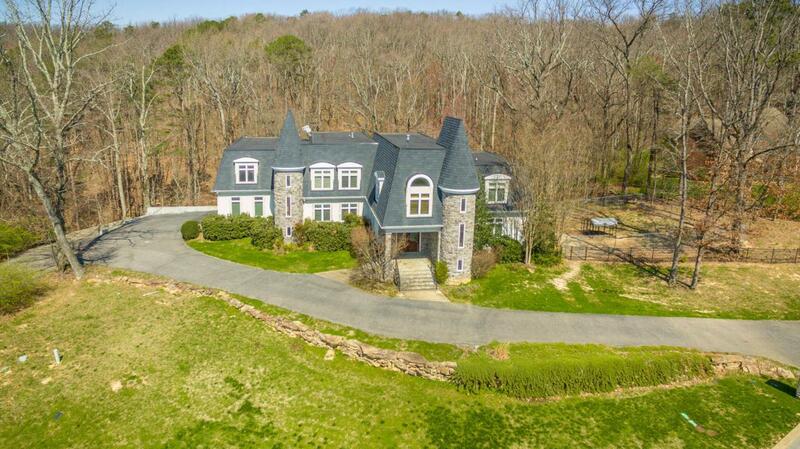 Designed by Caughman Architects and built by Tim Burns, this incredible home offers an open floor plan with many custom features and is well suited for both family and entertaining. 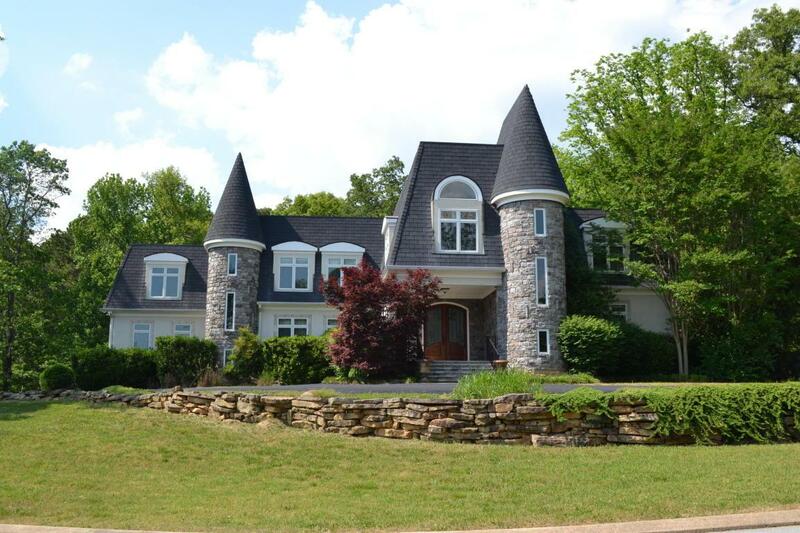 The foyer opens to the dining room and formal living room with arched doorways and a convenient butler's pantry. The kitchen is a chef's dream with plenty of counter space, a large center island with raised breakfast barand Thermador downdraft gas cook top, double Bosch wall ovens, cabinet style refrigerator and dishwasher, separate ice maker, walk-in pantry, kitchen desk and is open to the spacious keeping or gathering room. It also has access to the mud room with great storage and the rear steps. The gathering room has a gas fireplace, built-in shelving and access to the private rear deck. A convenient powder room is located across from the nice laundry room which adjoins the exercise room with a full bath. The master suite is on the main level and has a gas fireplace, his and hers walk-in closets with organizer systems and a private bath with separate vanities, make-up counter, jetted tub, and walk-in shower with tile, rain head and jets. An exercise room with a full bath, steam shower and sauna is also on the main level.The upper level has a handsome office with French doors, wood paneling and built-ins, a guest bedroom suite with private bath, 2 additional bedroom suites with adjoining built-in study stations and private baths and a bonus room. The lower level has a huge family or rec room, and an additional bedroom suite with double door entry, private bath, laundry room an additional storage room or small office and a water hook-up for a refrigerator just outside; a perfect set up for a teen or in-law suite. 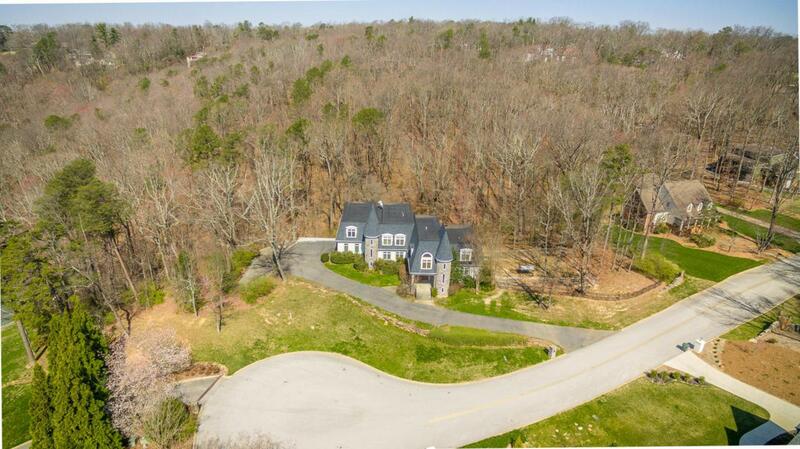 This fabulous home is perfectly situated on a quiet cul-de-sac and is partially wooded allowing for maximum privacy. House plans available upon request.